Less heart palpitations, I used to get them a lot when I was eating meat. More energy during the day and better stamina. Less problems with joint pains. I used to get those once in a while. 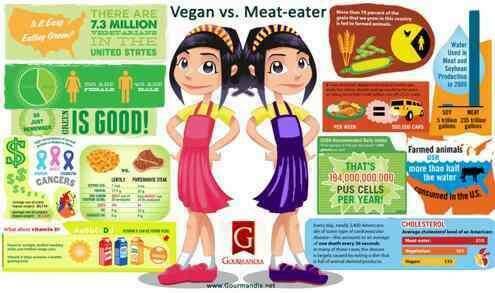 I also found a bunch of infographic that I believe will help people understand more about eating vegan. I started after getting a serious of heart palpitations, which were very similar to what my mother had when she was younger and she said that meat had caused hers. To be blunt, I didn’t want to die, and those palpitations were so frightening and horrible that I literally felt that I may not even wake up one morning, so I bit the bullet and gave it up.